The following post is sponsored by FitFluential LLC on behalf of FRS. This past Thursday, we drove to New Orleans from Tampa which is a 9 1/2 hour drive without stopping. I drove the first half and by the time Gabe took over, it was dusk and we were both Zombies. Luckily, I packed a bag full of FRS, which I received from my partnership with FitFluential. 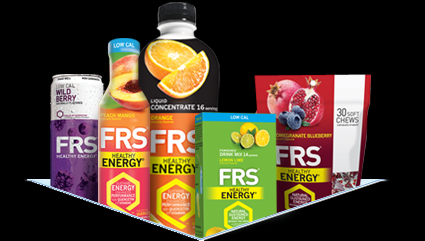 FRS is an energy and endurance product which delivers sustained energy, endurance and immune system support. Upon checking out FRS, I learned it was originally developed by health scientists and is used by athletes, nutritionists, and anyone wanting to love a healthy, active lifestyle. 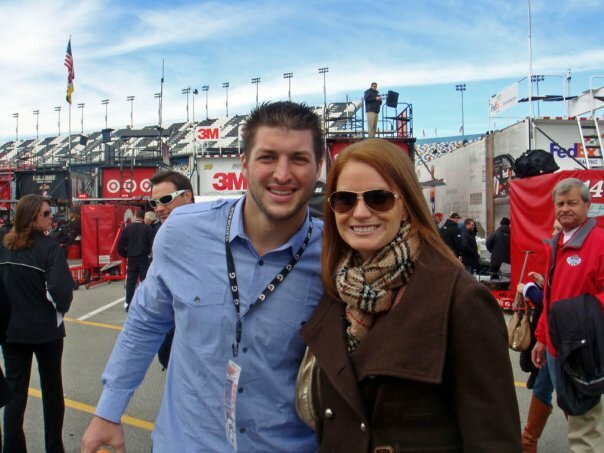 In fact, one of their athletes is Tim Tebow! I already loved the product before trying it. I am a huge fan of Timmy's and my proudest photo ever is below. I forgot my name, couldn't move and sat in shock for 30 minutes after meeting him but he was a very very very nice guy. Back to FRS. A few years back, I had a slight love affair with another energy drink (one that people often mix with vodka). I loved the instant energy but hated the crash. What intrigued me most about FRS (other than it's affiliation with Tim Tebow) is: natural sustained energy without the crash and was developed by health scientists as I mentioned above. The scientist found that FRS was an effective way to deliver sustained energy for chemotherapy patients. Of the 6 FRS healthy energy drinks I tried, Low Cal Wild Berry was my favorite flavor. 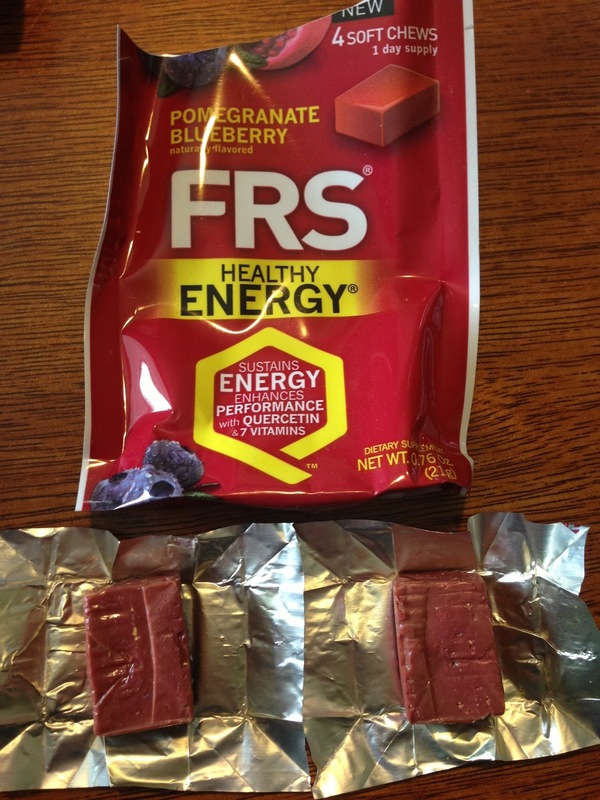 The other flavors I received were Low Cal Citrus Pomegranate, Low Cal Peach Mango, Orange, Low Cal Orange, Apricot Nectarine, My favorite product of the entire lot was the pomegranate blueberry FRS energy chews. You take two chews in the morning and two at lunch. I did not take these while in NOLA, instead saving them for today as I knew I'd be exhausted. We drove home last night and with the hour loss, arrived home 11 hours later. I could not wake up this morning. I took two energy chews and felt great! At first, I was weary of what the chews would taste like but they reminded me of what Flintstones vitamins tasted like as a kid!! 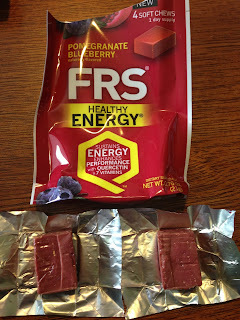 I also enjoyed the FRS energy on the go, which you mix into a bottle of water. Great for the office! If you're wondering what makes FRS work, it is made with the antioxident quercetin (along with other antioxidants), vitamins and green tea extracts. Quercetin is found in the skins of blueberries, apples and grapes. FRS wants to give one of my readers a trial pack valued at $30. This contest is open to residents of the US only. Visit http://frs.com to see their products and leave me a comment below telling me which one you would like to try. You can get an extra 5 entries by making a second comment: visit the FRS athlete page and letting me know which of their athletes is your favorite! After commenting, make sure you use the Raffle Copter widget below since that is how I randomly select a winner. Speaking of contests! FRS is hosting their own contest on Facebook. All you have to do is head to their facebook page and enter the Where Does FRS Take You application. Post a photo of your favorite FRS fueled moment. 3 winners will win Amex gift cards and FRS Prize packs. Entries are being accepted through September 4th. Click here for more details. Any of the energy chews would be fantastic - I'm struggling to find one that works for me! The chews would be fantastic im on the go from 5am am to the gym to taking care of kids errands ect. Alot of us can relate to what im saying! ENERGY is the word i want to hear! Would be great to put in my gym bag i carry along everywhere during the day try a chew to give me a extra lift PUMP as you might say. LOL :) Never tried this product. Thanks for the chance. Jeff Kerkove is my favorite FRS athlete! I WOULD LOVE TO TRY THE ENERGY TO GO PACKS!